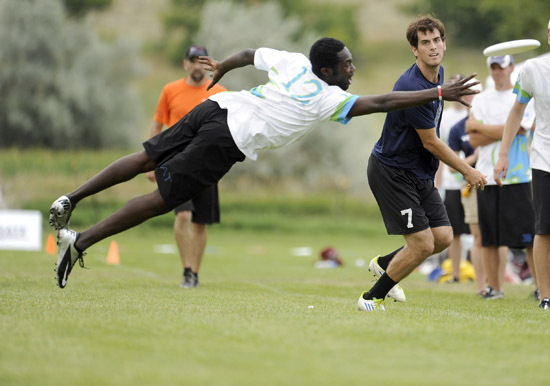 Podcast #4 - Remi Ojo Jr.
For the 4th Podcast, we catch up with Remi Ojo Jr. again to discuss his adventure with this year's Canadian U23 Open Team in their first tournament of the year at Trouble in Vegas. Podcast #3 - Remi Ojo Jr. In our 8th podcast, Otto Chung gets info from Kristen Diefenbacher, Manager of Social Events, about this summer's tournament; what parties to look forward to, what players should pack and guarantees a Toronto Blue Jays win. 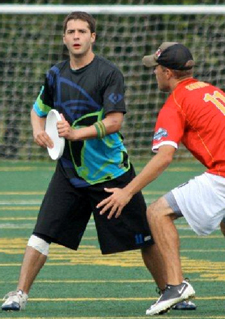 In our 7th podcast, Otto Chung catches up with co-tournament directors Jason Robinson and Ian Brooks and they give a quick check in on how the tournament is coming together, list out a bunch of events the athletes can expect to see and inform us on how to keep in touch with the tournament. 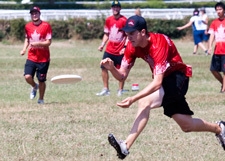 Copyright © 2012 World Flying Disc Federation and Toronto Ultimate Club 647-345-8105. All Rights Reserved.